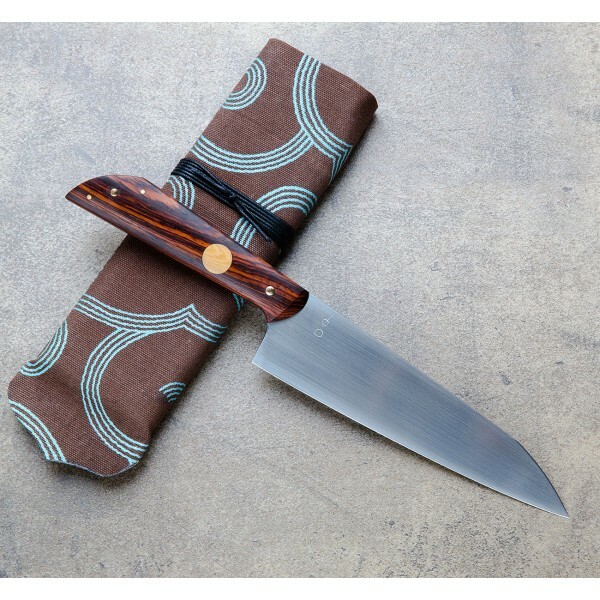 Breathtaking old-growth cocobolo with an antique micarta inlay and brass pins dresses up a no-nonsense hand sanded CPM 154 stainless steel blade in this Personal Chef from Don Carlos Andrade. 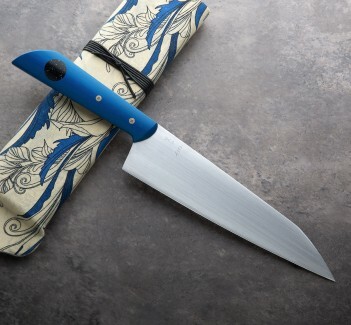 The full-tang version of Don's Personal Chef model, this knife weighs around 1.5oz more than its hidden-tang counterpart at 7oz (198g) and balances about a half a finger's width behind the choil, giving it a wonderfully weighted and fast feel in the hand. 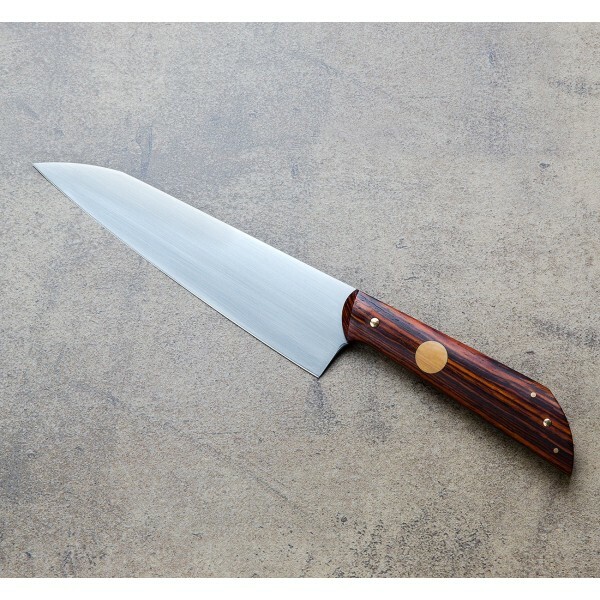 The 7.25" (185mm) blade is hardened to HRC 61-62 and the CPM 154 steel will take and hold a fine edge. A cloth-covered protective case is included. 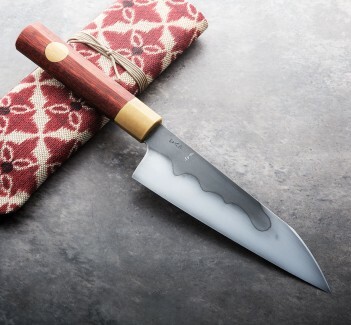 Handcrafting heirloom-quality chef knives at his studio in Los Osos, California, Don Carlos Anrade is a formally trained chef and former sculptor turned bladesmith and creates some of the finest tools for the kitchen anywhere in the world. We're proud to represent his work. 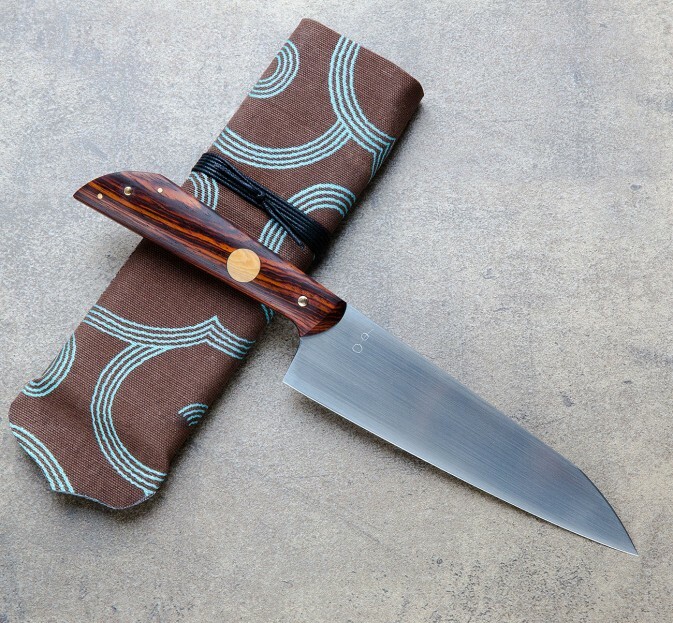 Blade length: 7.25" (185mm). Overall length: 13". Blade width at heel: 3.3mm. 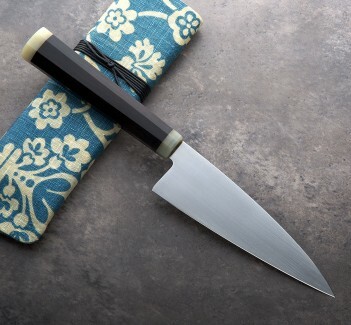 Blade height at heel: 47mm. Weight: 7oz / 198g. 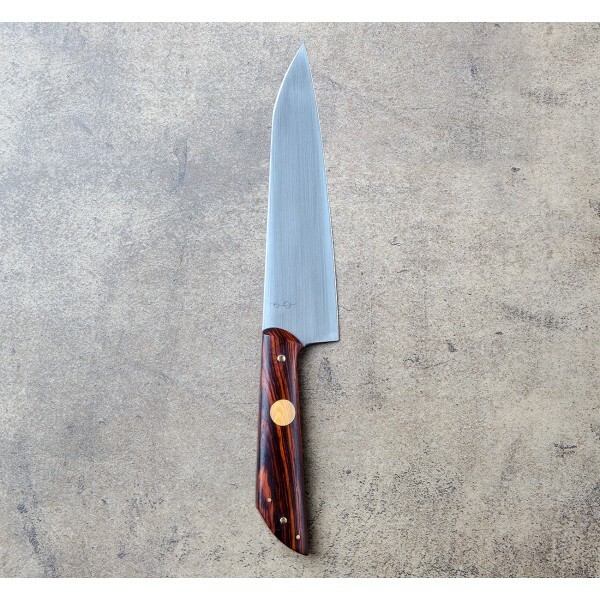 CPM-154 stainless steel blade. Old-growth cocobolo handle with antique micarta inlay and brass pins.